For the first time ever, Culture24 ran a joint Facebook competition to raise awareness about Museums at Night together with Love Art London. Chris Pensa describes the experience of the competition winners as they met artist Michael Landy. If you’ve ever found yourself wandering through the ordinarily bustling streets of London’s west end at 8:30am on a Saturday morning it’s a remarkable experience I highly recommend. No, I wasn’t wending my way home after a heavy night on the tiles rather en route to the National Portrait Gallery to meet one of my all time heroes, the artist Michael Landy. 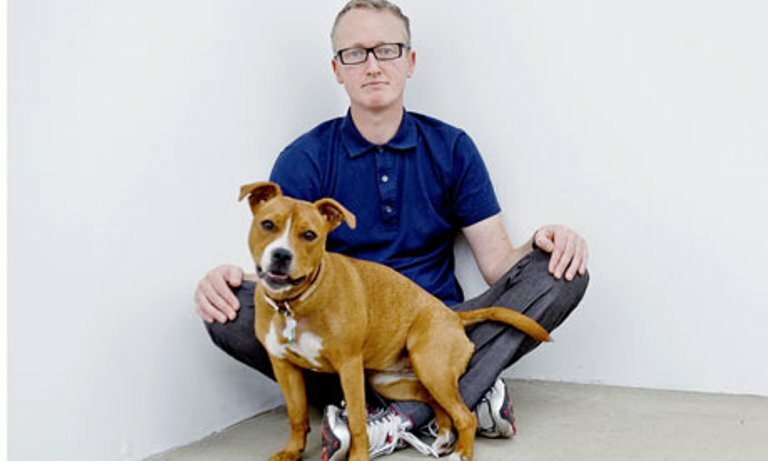 A key player in the YBA movement, Landy shot to fame in 2001 for Break Down, a performance installation in which he destroyed every single one of his worldly possessions, all 7,227 of them, from gas bills to the clothes on his back, even artworks given to him by his famous friends like Damien Hirst. Michael arrives bang on time wearing some oversized sunglasses to disguise his jet lag. 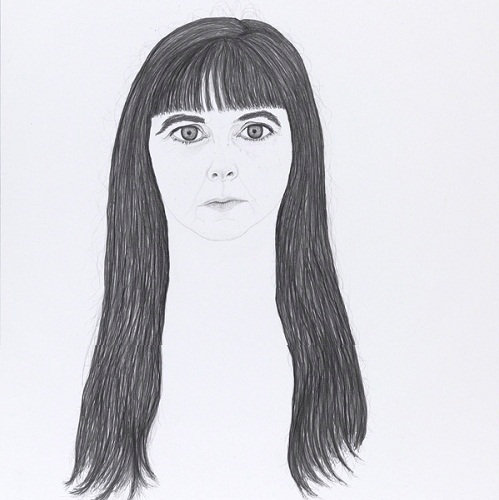 He’s just returned from New York where his partner, the artist Gillian Wearing, was installing her new solo show entitled People. A running theme in the Landy/Wearing household given we’ve met at the NPG to talk about his Art World Portraits. The 25 competition winners we invited to join us arrived punctually with mouths a frothing, not least about meeting Michael but also about having the entire NPG to themselves before the public flood in. At 9am the security guards opened the back door and we were huddled in. After a brief introduction the crowd got stuck straight in with questions. The first paw in the air wanted to know if Michael could remember what the first possession he acquired in his new ‘post Break Down’ life was. The artist confessed with a wry smile that within five minutes of the installation ending someone handed him a Paul Weller CD. So random you couldn’t make it up. Given that he requires as much from his sitters as he gives of himself, Michael’s subjects become willing accomplices in his ritualistic creative self-flagellation. I ask him what the experience is like for them. “I work very closely to my subject’s face, sometimes only a foot away, sometimes people are uncomfortable at first, having someone starring at them so closely, but generally they acclimatise pretty quickly. Some people fidget, some listen to Radio 4, some drink a lot of tea. I remember one sitter was very particular about his tea, insisting the tea bag was not to be squeezed, ever.” I asked what characteristics make an ideal sitter. “I like people who surrender themselves to the cause and allow me to bully them into position. To get the best out of a sitter I really need to bully them.” It says a great deal about Michael that despite these openly pseudo-masochistic confessions every member of the audience was secretly desperate to volunteer. I mentioned I’d seen an interesting short film showing the artist at work sketching the Newsnight presenter Kirsty Wark. I quipped that he’s practically straddling her. Michael laughs this suggestion off, insisting it’s all above board and integral in order for him to access the essence of his subject. And before we knew it, our time with Michael was coming to an end. With only a few minutes left we had time for one last question. A hand was raised and the following words were uttered, “Michael, where did you get your trousers?” The answer that came straight back was “Paul Smith.” And that seemed like a perfect place to end our time with the legendary Michael Landy. High fives were liberally distributed and the artist disappeared to pick up his dog, May, who’d been staying with his mum whilst he and Gillian were in New York. An hour in the company of greatness is a rare and beautiful thing. Michael Landy’s Art World Portraits are on display at the National Portrait Gallery until 17 July.